Trekking Tassie’s Threatened Tarkine – while we still can! Soft tree fern grove, The Tarkine, Tasmania. 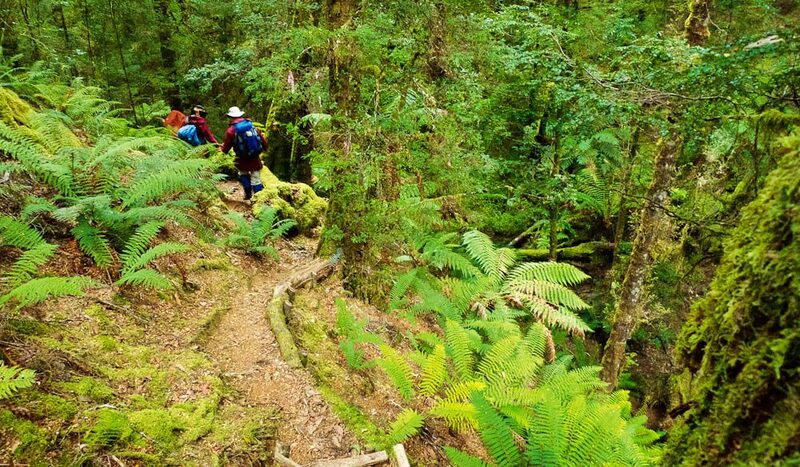 A tour of Tasmania’s north-west wilderness with Tarkine Trails is guaranteed to be “simply life changing or it’s free”. On the first evening, our guides – both genuine Tasmanian articles – suggest we precipitate this by casting a stone into the Huskisson River the following day as a cathartic act. To throw off what needs to be thrown off, left in the past or forgotten. What better place to do it, I think, than in this old-growth rainforest, which has existed here for thousands of years and will be here for thousands more. But I’m wrong. During the five days I spend exploring this ancient wild place, I learn that the Tarkine’s longevity is not even guaranteed to exceed my own (See the timeline of the struggle for the Tarkine). Ten of us are seated around a huge oak table in ‘The Longhouse’ sharing stories – fuelled by local wine, a hot meal and a roaring fire – of what brought us here to the Tarkine. “It’s not about me claiming this place. This place claimed me,” says one of the guides by way of explanation as to why, in her late 30s, she gave up an old life in office administration and began an entirely new one as a wilderness guide. The other guide’s story is similar. Looking out into the misty dusk at the giant eucalypts and gnarly myrtles surrounding this open-air timber structure, it’s not hard to understand the reality of such a force. 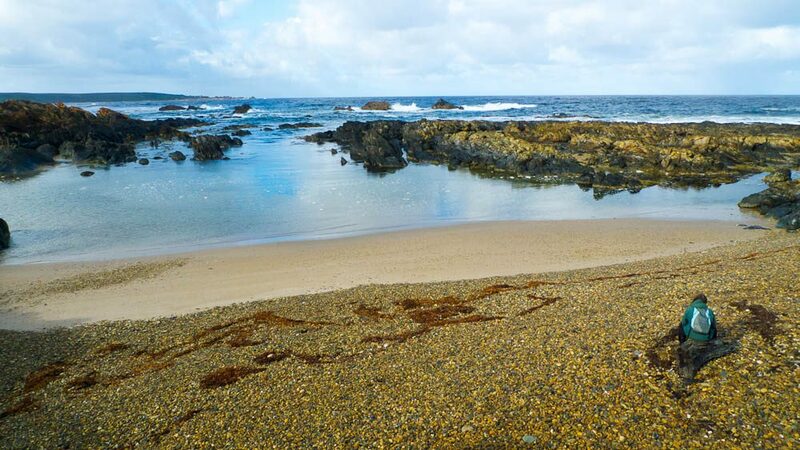 The Tarkine area, situated in the north-west region of Tasmania, is generally defined by the Arthur River to the north, the Pieman River to the south, the Murchison Highway to the east and the Southern Ocean to the west. Our first two nights are spent within the south-east corner of the Tarkine’s forested mass at a place referred to as Tiger Ridge; a natural ridge on which Tarkine Trails have built a camp. It’s only a 40-minute hike up to the camp from a back road, though many gravelly kilometres by mini-bus from the Murchison Highway and well over an hour’s drive from the nearest main centre of Burnie. At Tiger Ridge we sleep in large canvas tents positioned at varying distances from the amenities and far enough from each other for privacy. Because there are only eight instead of the maximum 10 guests on this trip, I have a tent to myself. It isn’t a cold night and so I roll up the floppy windows and, from my gauze palace, listen to the forest soundtrack of the night: complete silence. I later wake in the dark to the sound of tents being undone. I check the time: 4am. Strange. At breakfast I learn it was sugar gliders; they sound just like zippers. This 447,000-hectare wilderness was named after one of the three Aboriginal groups – the Tarkineer of the Sandy Cape area – who, before colonisation, freely inhabited this region of Tasmania. Nearly half of the Tarkine is rainforest and the rest is eucalypt, heathland, button grass and rivers. It also contains the largest unbroken stand of cool temperate rainforest in the Southern Hemisphere; a type of forest that, originating from button grass plain, is 1200 years in the making. Over 60 species of rare, threatened and endangered birds and animals inhabit the area, including Tasmanian devils not yet affected by facial tumours. Yet, despite the Tarkine being of widely recognised significance for World Heritage status, the wildlife shares their habitat with countless mining licences and logging contracts. According to local conservation group Save the Tarkine, there are currently 10 new mines proposed for the Tarkine over the next five years. Save the Tarkine has repeatedly placed the area on the national stage as a political centrepiece for conservation. Yet, still, only five per cent of the Tarkine is national park. It is raining by the time we reach the Huskisson, but there are no complaints; the rainforest looks and smells its best in this weather. The green of the moss and bracken and the bright colours of the various fungi intensify before our eyes. The guides erect a tarp and we huddle under with hot drinks and food after discarding our burdens into the swirling tea-coloured water. “I wouldn’t want to be anywhere else in the world,” somebody says. It only takes us 90 minutes to return to camp and we line up for a warm splash-with-a-view in the Japanese-style wash shelter while the guides prepare dinner. Tarkine Trails first began as people involved in ‘forestry action’. One of these people, Jarrah Keenan, wanted to take tying protesters to trees to the next level. Julia Leigh, author of The Hunter (now a film starring Willem Defoe), took a six-day guided walk with Jarrah in the Tarkine rainforest and integrated him into her 1999 novel. One of our guides describes him as a “wonderfully scattered man” while Jarrah’s fictitious partner in The Hunter says: “He had lots of ideas. Too many. Too many to hold in his head at once”. Yet the result of one particular idea is that for over 10 years Tarkine Trails has been leading walking trips in the Tarkine as an increasingly successful demonstration of the alternative economic value of the area as an ecotourism destination; a solution Keenan always knew was far more sustainable in the long term than logging and mining. More recently, Tarkine Trails, in collaboration with local businesses and not-for-profit organisations, has become involved in assisting research into the Tasmanian devil facial tumour. The Tarkine is predominantly only accessible by foot, which has made research of the last disease-free population of devils virtually impossible in the past. Tarkine Trails, with the assistance of funding through the Devil Appeal, has positioned cameras throughout the area and the guides maintain them, change batteries and collect the data. The following day we leave the rainforest and drive on to Corinna to stay for the next two nights and, from there, explore the Tarkine coast. Corinna is an historic 19th-century mining settlement resurrected as a wilderness retreat. The town is essentially a horseshoe of cottages, all of which are equipped with beds, sheets, fluffy pillows and hot showers. Before sunrise the next day we are chugging along the Pieman River on an historic Huon pine boat. We head north towards the traditional lands of the Tarkineers by foot and find various stone tools. Our guides tell us what they know of the people who once lived along this coastline for as long as 30,000 years. 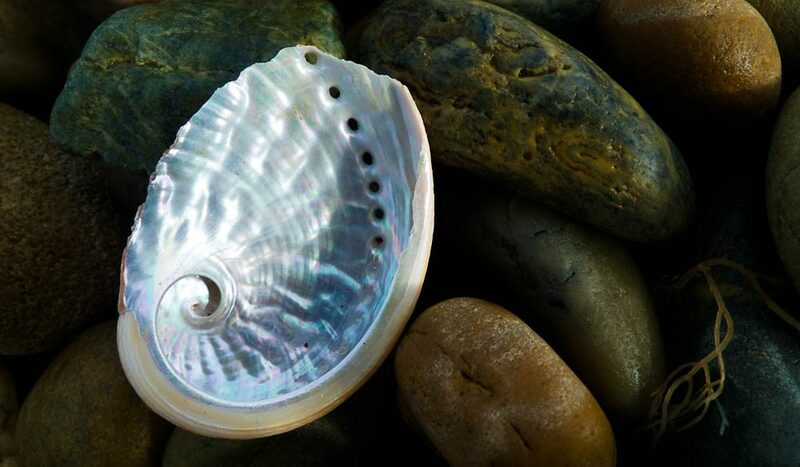 Large middens of discarded shells are visible indicators of the exact locations of seasonal settlement. This evidence of the daily lives of Aboriginal people living here for generations and generations moves me to tears. Not so long ago I naively believed that Tasmania was a place where the protection of its wilderness areas was a given. Hadn’t the saving of the Franklin River in the 1980s changed both the state and the nation’s perception of the importance of preserving this country’s last wild places? Yet the Tarkine continues to slip through the system. Tourists to Tasmania are channelled towards Cradle Mountain-Lake St Clair National Park where just the suggestion of an open-cut mine would invoke national, if not international, uproar. For the lesser-known Tarkine, this level of vulnerability and potential decimation is a reality; right now an open-cut mine is proposed for the so-called Arthur Pieman Protected Area. Returning along the Pieman at the end of the day, I think of my little rock at the bottom of the Huskisson River within the lush green heart of the rainforest and consider how hard it can be to discard aspects of our own past, yet how easily we can let other histories, far bigger ones, slip away. The story of the Tarkine may soon be added to the list of our nation’s deepest regrets: but to see it, now, is something I never will forget. The five-day Tarkine ‘Explorer’ tour runs between October and May at a cost from $1949 per person. 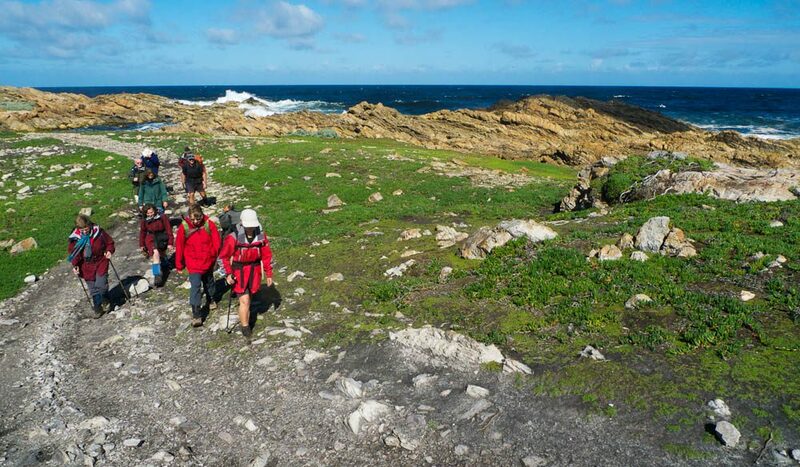 Other tours are offered during this period by Tarkine Trails varying in distance and difficulty from three to six days. 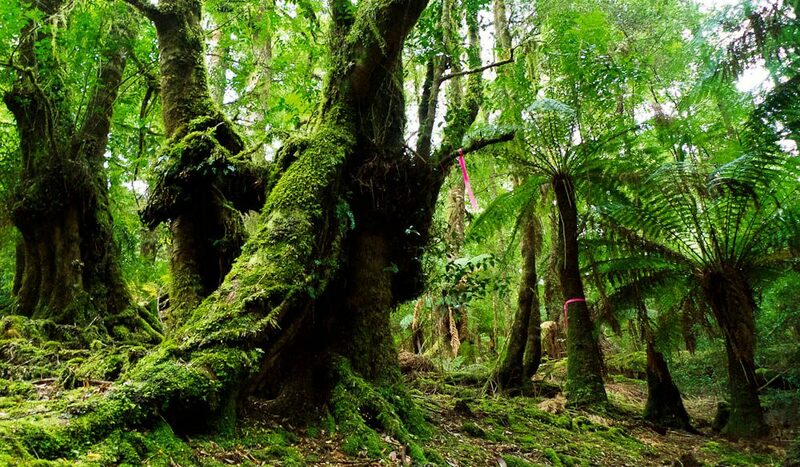 If you would like to help, visit the Save the Tarkine. 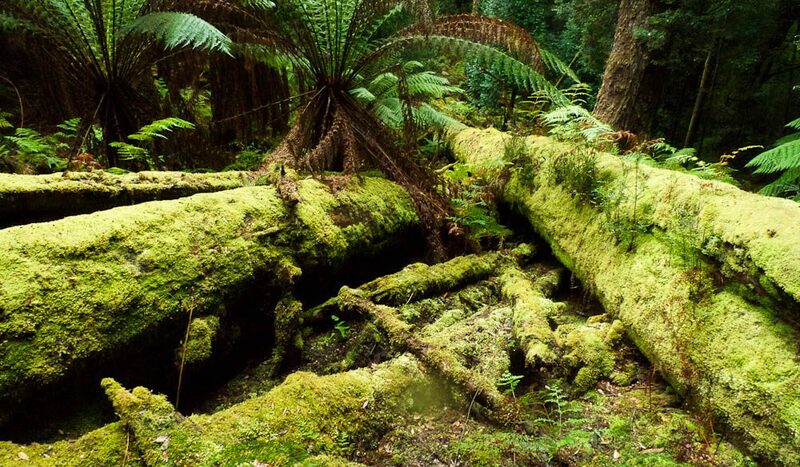 How can the so called “Tarkine” in Tasmania be the largest temperate rainforest in the Southern Hemisphere when the actual largest temperate rain forest in the Southern Hemisphere is the Valdivian Temperate Rainforests in Chile, which happens to be more than 3.5 times the size of the land mass of Tasmania? How can 447,000 hectares (“Tarkine”) be considered larger than 12.6 million hectares (Valdivian)? Sugar Gliders are not native to Tasmania and are an introduced species. Hardly a natural experience. Tasmania currently has ~40-45% of the whole state as protected reserves making Tasmania one of the largest conservation areas in Australia. Did anyone stop to consider the true potential results of the actions of groups like “Save the Tarkine”. Do people consider that the demise of forestry and mining in Tasmania (in a country where there are at least some environmental and worker regulations and standards), is only going to potentially send these types of industries to other less developed and less standardized countries, where such measures to attempt to protect the environment and workers rights and safety are not as present or valued. These types of actions may actually have a greater negative impact on the environment and people on a more global scale. Despite mining and forestry being the primary industries for Tasmania, either way world wide demands for resources will be sourced from some where. I dont beleive the article is misleading rather thought provoking and possibly challenging our current way of approaching the emotional issues of resource use and conservation. 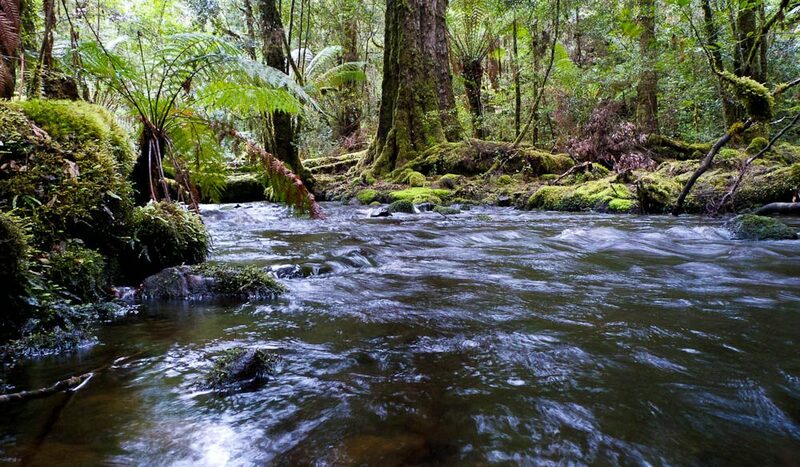 The Tarkine contains the largest unbroken cool temprerate rainforest. The Valdivian rainforest exists in smaller patches although distributed accross a larger region. This amongst other resons is why the Tarkine has been assessed as worthy of world heriatge listing. The Tarkine does have a rich history of forestry and mining, luckily, there remains huge areas of pristine forest that have escaped the effects of industrial scale forestry and mining. To say there is no pristine areas left is simply not true. If you want, Ill take you for a walk and show you. How the world sources it’s supply of resources is a really important question. I beleive that areas of international conservation significance, like the Tarkine, should be preserved as a global treasure for all, not exploited for short term profit.